• WR Kevin Austin, 6-3, 190, Jr.
• TE/DE Kenny Henningsen, 6-3, 200. Sr.
• WR/FS Bradley Cooper, 6-3, 175, Jr.
• OL/DL Justin Bentayou, 6-3, 265. Sr.
• OL/DL Ted Arthur, 5-9, 240. Sr.
• RB/DB Dorian Cole, 5-10, 185. Sr.
• OL/LB Hunter Greggs, 5-10, 220. Sr.
Can senior-laden group finally put North Broward over the hump? 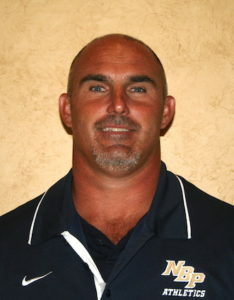 : For the past two seasons, North Broward Prep has found itself falling in the semi-finals of the Gold Coast Football Conference playoffs to Oxbridge Academy and Key West, respectively. But a previously younger group is now experienced, seasoned and ready to get over the hump. The Eagles lost just six seniors from last year’s team, most of their starting lineup is returning, not to mention new additions, most noticeably Greggs and Cole. Furthermore, although a bigger field this season, the Gold Coast Football Conference competition has evened out a bit in 2016, with North Broward rival Key West losing a bulk of seniors. The Eagles’ nucleus has yet to get past the semifinals in the playoffs, but with new talent and a more experienced squad this season, could it be the year North Broward gets the title they yearn? Who will start at QB? : One uncertainty North Broward will have to cover before training camp ends will be, who will be under center for the Eagles in 2016? North Broward heads into camp with a quarterback competition underway between junior Logan Shooster and sophomore Christian Paillet. Although Shooster has made significant strides over the off-season and looks ready to lead this team, the youngster Paillet has shown massive potential and talent that can’t be overlooked. However, it’s expected the team will give Shooster the starting nod for the opener against Pines Charter. Star wideout Kevin Austin: No question needed here, as four-star receiver Kevin Austin is in store for a monster junior season. The 6-3 junior has 18 offers including Miami (FL), Michigan State, Florida State, Tennessee, Duke, and 13 others. Austin has been described by outstanding athletic ability and killer speed and had 13 touchdowns for the Eagles his sophomore season. Austin is featured on the cover on the Friday Night Lights High School Football Magazine and leads a North Broward receiving group that is still very strong despite the loss of 6-4 N.C. State wide receiver C.J. Riley. • Sept. 16 at Key West – If the Eagles want to make a run at the Gold Coast championship this season, this is a must game win for them. With a least, a four bus trip to Southernmost city in the United States, the Eagles have to be mentally and physically prepared for this game in order to come out with a win in the end. 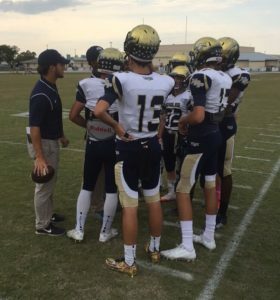 • Oct. 14 vs. Archbishop McCarthy – This is another must-win game for the Eagles, but they will have to be ready to play the perfect game in this one. With a lot of athletes returning for Archbishop McCarthy, it will be a tough test. However, if they at least win one of the two games between Key West and Archbishop McCarthy, the Eagles stand a great chance to still get to the championship game at least. North Broward Prep seems to have put together a team that can finally get past the semifinals and take home the Gold Coast Football Conference title, but a couple obstacles stand in their way. One is if they can beat Archbishop McCarthy. Archbishop McCarthy, 2015 GCFC champs, enter the season as favorites to repeat and have a lot more size on the inside than North Broward. 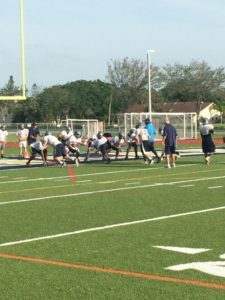 The key for the Eagles will be to outplay the Mavericks at the skill positions, where North Broward – with athletes Austin, McKenzie, Cole, Gomez, Henningsen, and others – have a clear advantage. What bit the Eagles in the rear in 2015 was their offensive line struggles. The team put out a young, undersized group last season and it was overpowered and overmatched in nearly every contest. But this season that line should improve with the addition of Greggs and more experience that some of the younger guys have. However, it still is a question mark. If North Broward plans on taking down Archbishop McCarthy for the GCFC crown, the offensive line will need to step up big. Another lackluster year from that group could lead to yet another early exit in the playoffs. The skill positions’ ability to thrive is dependent on the offensive and defensive lines’ ability to perform for the Eagles. McCarthy appears as North Broward’s toughest challenge to overcome in search for a title, but the GCFC is more talented than in years past. Coral Springs Charter, Calvary Christian, Key West, and Westminster Academy all have talented groups and could pose serious threats to the Eagles this season. Whether it’s Paillet or Shooster at quarterback, either should be at least serviceable with the many weapons on offense North Broward has at their disposal. How can the Eagles become GCFC champions? Their 0-3 2015 record against Archbishop McCarthy and Key West will have to change this season, and the offensive and defensive lines will be major deciding factors in North Broward’s success.